La sterne arctique la + vieille en UK! Various newspapers were reporting : The National Trust reported that the UK’s oldest known Arctic tern was discovered on the Farne Islands, off the coast of Northumberland, 30 years after it was ringed as a chick. « … On June 28, 1980, when it was just a few days old, the bird was originally ringed on the islands. John Walton, who is now National Trust property manager for the islands and was on hand this summer to see the tern when it was re-caught on Inner Farne was part of the team or warders that ringed the bird. This is not the oldest Arctic Tern recorded, but this bird outstrips the previous known record age for an Arctic tern found in the UK, which was discovered after 29 years, 10 months and 11 days, also on the Farne Islands. 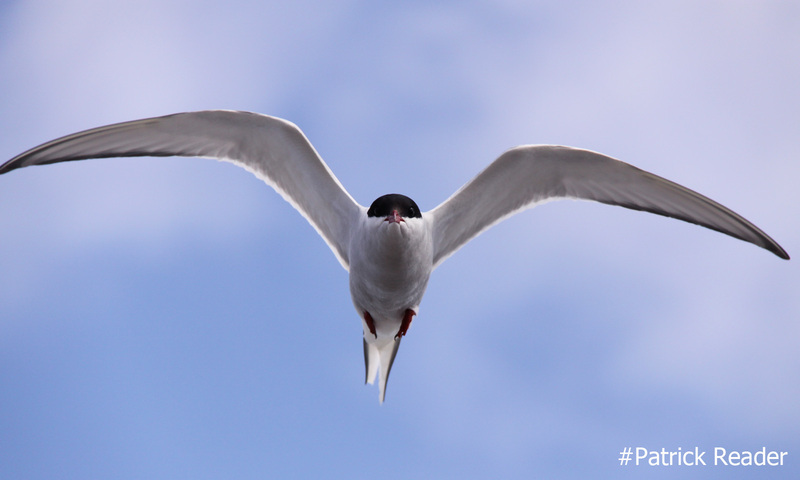 The oldest recorded Arctic tern was a 34-year-old American bird.